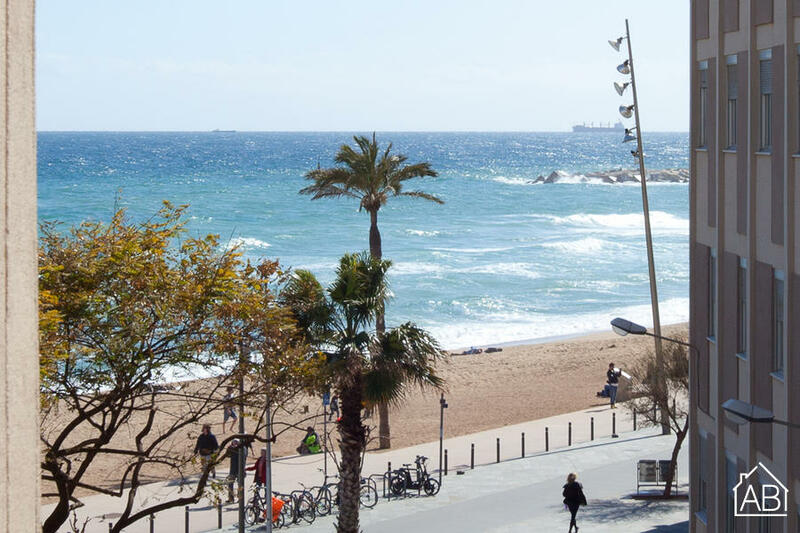 Situated just steps from the beach, this lovely one-bedroom apartment in Barcelona, located in the beautiful Barceloneta is the ideal choice for your trip to the Catalan capital. With easy access to the Mediterranean Sea, and beaches lined with top-notch seafood restaurants, as well as being a mere 10-minute walk to historic downtown, all of Barcelona will be at your fingertips! This apartment can accommodate up to four people. The apartment enjoys a simplistic yet welcoming design, sure to make guests feel right at home upon arrival. The living room is furnished with a comfy double sofa bed, and a TV with Satellite, making it a great spot to unwind after a day of sightseeing. And for those who need to stay in touch with friends and family back home, an Internet connection is also available. Step out onto the balcony from where views of the Mediterranean are sure to satisfy! The fully equipped kitchen makes it a breeze to prepare your favorite home-cooked meals, which can be enjoyed in the comfort and privacy of this ideal home-away-from-home. The bedroom has a comfortable double, while the apartment has one bathroom. This charming Barcelona apartment, complete with heating and air-conditioning is a great choice for those looking to make the most of their time in Gaudí´s city, any time of the year! Please note: Check-ins later than 8pm will have a 30 euro extra fee. Check-ins later than 11pm will have a 50 euro extra fee.